Why do some lengthy sentences flow effortlessly while others stumble along? Why are you captivated by the writing of particular authors? How can you craft sentences that reflect your unique outlook on the world? 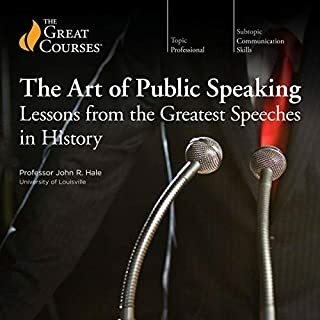 This lively, 24-lecture course introduces you to the myriad ways in which we think about, talk about, and write sentences. 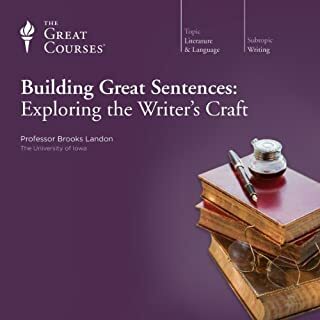 Reviving the sentence-oriented approach to studying writing, Professor Landon provides a greater context for what makes sentences great - and how you can apply these methods to your own writing. as a primary school teacher it was very informative. it was quite high level, but I found some key takeaway points I can use to improve my teaching. good, nice and easy to listen to. i will listen to it again. he sets a good example of how to speak. 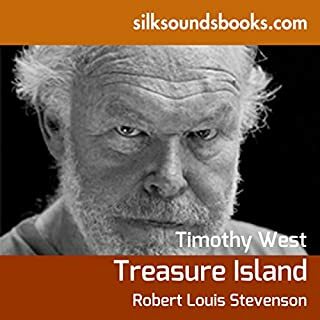 First conceived during a rainy summer holiday in the Highlands of Scotland in an attempt to amuse his stepson, Treasure Island began with the map. Young Lloyd Osbourne had drawn a crude version of an island, and Stevenson, looking over the boy's shoulder, began to elaborate, christening various curves and smudges the famed names of Skeleton Island and Spyglass Hill and finally adding the three red crosses marking the buried treasure. Timothy West is an excellent speaker and it's a great story for the whole class.